Buying a new carpet for home isn’t an everyday event for most of us. It’s an important investment nevertheless, so it has to be right if it’s to stand the test of time. 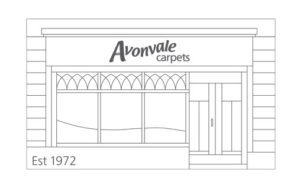 Homeowners in the Bath area and throughout the county of Wiltshire have been relying on the knowledge and expertise of Avonvale Carpets to help them make more informed decisions on domestic flooring since 1972. Just like you, we’ve long recognised that it’s never just a matter of choosing a colour or pattern to suit the house décor, there’s the texture and durability to consider, the ease of cleaning, its price. Having a true expert on hand to share real know-how with you and guide you through the different options can really help. It’s what sets Avonvale apart. Contemporary or classic, plain or patterned, wool or sisal, plush or berber pile… our selection of quality carpets for the home is second to none. And if you really want something unique, bespoke colours and designs can also be arranged. Once your carpet’s chosen, we like to visit your home – to triple-check the measurements, to identify any potential problems to overcome with floor, walls and skirting and just to be sure there’s not been a change of heart. And our domestic service wouldn’t be complete if we didn’t offer you a fitting service you can trust to take the utmost care with your new carpet. So Avonvale only works with trusted local fitters, professionally trained to do a great job, consistently well. You have our personal guarantee that you won’t be disappointed. For your next carpet for home pop into the shop, or call us today on 01225 427 057. Terrific service. Helpful advice and guidance in the shop and a good quality carpet at a better price than other Bath companies I tried. The fitters were cheerful, polite and tidy workers. No hesitation in recommending them for quality, workmanship and value. Many thanks.